Learning a new language doesn't have to be hard and with Mondly, it isn't; in fact, Mondly makes it fun and exciting for its users. You get points for every lesson completed and weekly quizzes unlock bonus material. Mondly works because you learn the language in context; whether it's going shopping, asking for directions or daily pleasantries, you get practice using phrases and words you'll need the most. Studies have shown that you are able to learn languages faster in your native language, so Mondly has set that up too. 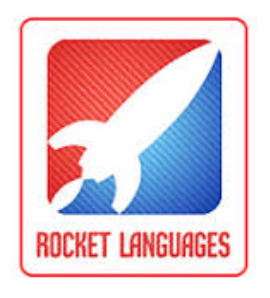 Learn any of their 33 languages from their 33 languages and see just how quickly you be speaking in a new language. When you sign up with Mondly, it's like being transported back to the classroom. You'll work through the foundations of any language like vocabulary and move on to more conversational lessons. Overall, you'll receive in-depth lessons that cover over 20 topics like animals, travel or shopping. Mondly offers different types of subscription plans; both monthly and annual and you can choose between learning one language or all 33 languages Mondly offers. Whatever you choose, you'll be expertly guided through in-depth lessons that aim to increase your knowledge of languages. With Mondly's cutting edge technologies, you'll be talking in new languages faster than anyone else. Mondly keeps its users engaged. With daily lessons that cover bonus material or new words that come with conjugation charts that you can study, Mondly makes sure you have a user-rich experience. You get to learn the language in a real-life context like ordering at a restaurant, checking into a hotel or hostel or dealing with emergencies. Mondly also uses Chatbot so you have the opportunity to participate in conversations in a foreign language right from day one. Working with Mondly is the closest think you'll get to actual immersion. See what you've been missing in language acquisition and visit Mondly today!